Millennium 7 Publishing Co.: The 25 Top Social Media Marketing Tools? The 25 Top Social Media Marketing Tools? Top 25 social media tools for marketers..
With today’s society becoming more connected and more reliant on the internet, business ties are increasing being forged online rather than in a boardroom. Nowadays, most brands have at least one online presence, and most have several. However, the overwhelming presence of businesses on these platforms creates a good deal of pressure for companies trying to beat out their nearest competitors. Fortunately, marketing teams don’t have to go it alone in their efforts to raise their brand to the top. A number of third-party apps exist that can enhance certain features of these social platforms and make social media marketing a more lucrative and intuitive experience. Here are 25 social media resources designed to help marketers advertise their brands more effectively. Used by McDonalds, Sprint and major industry influencers with millions of followers, SocialDrift is an Instagram marketer’s best friend. The platform automates Instagram interactions, which help to organically increase follower count. Users just need to provide SocialDrift with information about ideal Instagram followers, and the platform will use machine learning to engage users through likes, comments and follows. Because of this engagement, users will frequently follow accounts in return. In time, SocialDrift can dramatically increase the number of high-quality Instagram followers through the platform’s Instagram bot, named Securebot. Buffer offers a swift solution for businesses swamped by the multiple social media accounts they must manage. The application innovates marketing by allowing individuals and businesses to queue posts for their various accounts. Buffer works for several third-party extensions, in addition to the regular line-up of social platforms. Furthermore, the app boasts many powerful tools like photo editing, group collaboration and detailed data analytics about social media performance. Essentially, Buffer can take a jumble of social media accounts, organize them and in the process make marketing more manageable. Are you a team managing social media for a lot of different clients? Sendible is the tool for you. Sendible has unique inboxes for each brand, accessible by any member of your team, so communication is streamlined. They also offer a content engine that suggests new material based on the topics of your profiles and followers. In addition, calendars are fully interactive. Who said teamwork has to be hard? MavSocial is a management tool that focuses on graphics and videos for Facebook, Twitter, LinkedIn, YouTube, Instagram and Tumblr. You can schedule or preview content to any or all of those platforms. And if you’ve run out of content, simply reschedule. MavSocial also has features for engagement analytics, collaboration, galleries, image database and campaign creation. Choose from their 5 plans to get what works best for you. Snapchat’s introduction of Stories in 2013 has rapidly spread the feature across social media, with many other platforms joining the trend to reap some of its benefits. Storyheap is tailored for the Story feature, allowing brands to manage their Story straight from the web. In addition, Storyheap offers in-depth analytics about the current and projected popularity of a brand’s Story. For now, the app is limited to Snapchat and Instagram, but support for other platforms is in the works. Once you find an image you want to use, you can either download it or save it in your own collection for future use. Unsplash allows anyone to have high-quality, high-resolution images. Photo and video are highly influential on popular platforms like Facebook, Instagram and Snapchat. Consequently, marketing teams are often pressured to produce beautiful visuals and graphics to get attention and increase brand visibility. Canva contains plenty of design tools, tutorials, templates and more, so users have the materials to create almost anything they can conceive. With Canva, marketing teams with limited experience can still generate stunning content and gather a larger following. Marketers may often feel at a loss when it comes to conjuring up fresh content, but third-party algorithms can always be of assistance. nTuitive.social combines detailed data analytics with refined publishing and scheduling tools to ensure brands can consistently provide interesting content. With compatibility across more than 20 platforms, the app monitors discussion of the brand, analyzes social media decisions and offers suggestions to increase audience engagement. nTuitive.social acts as a social media multi-tool for businesses trying to revamp their marketing strategy. While many of the resources in this list work on multiple platforms, others excel with one. Grytics, with its focus on Facebook Groups, is one such application. The app gathers a wealth of information from the posts and members of specific groups. It then displays these statistics for businesses to manage these groups or tailor their strategies to better suit audience interests. Businesses using Grytics can successfully get the most out of any associated Facebook Groups. On Instagram, consumers freely post pictures of brands and products they’ve engaged with. Wouldn’t it be useful for marketers to be able to easily share these images of consumers using their products and following their brands? Yotpo makes this a reality. Its Social Curation feature collects posts relevant to a brand and helps these businesses contact users for permission to use their posts in advertising. In addition, Yotpo implements a Shop Now feature in Instagram, letting users buy products seen in their feed. Yotpo helps businesses make their Instagram accounts more marketable to consumers. On the surface, AgoraPulse is a feature-heavy social media management app. Offering content scheduling and message tracking, the app greatly increases the efficiency for any business active on social media. However, its in-depth analytics and report-creation features make AgoraPulse even more effective. Whether businesses need to measure their performance or just want to discuss their social media traffic with one another, AgoraPulse offers more than enough tools. With social media attracting so much traffic from marketing teams and consumers alike, it would be helpful for marketers to be able to see how much attention certain topics and types of content are getting without wading through piles of data. BuzzSumo’s data analytics allows its users to do that, with minimal hassle. BuzzSumo’s search bar takes in search words and returns a list of relevant links on the internet and social media. With so much easily accessible information, marketers can quickly determine the popularity of different types of content and adapt their marketing strategies. Most businesses using third-party applications to enhance their marketing are seeking a comprehensive boost to all their platforms. Oktopost’s features make this possible. With powerful data analytics, post scheduling, content curation and discussion tracking, the application allows businesses to increase their productivity, while at the same time pinpointing any glaring weaknesses. Oktopost is an invaluable resource for businesses trying to increase their social media performance. 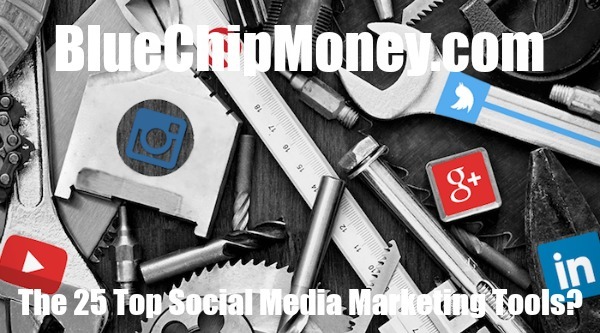 Completely automated social media marketing is swiftly becoming a reality. However, there’s still a place for hand-picked curations, which can resonate more with living, breathing consumers. Quu offers that experience. Businesses using Quuu first select their interests from over 300 categories. Then Quuu sends users a list of recommendations for types of content to post in order to represent those interests. At that point, businesses can either manually post content or let Quuu take the wheel. Importantly, all the content suggested by Quuu is hand-reviewed, meaning it has a better chance of connecting with humans. Most of the platforms in this list offer similar tools, like post scheduling and data analytics; however, apps like IFTTT operate entirely differently. Running through platform-specific applets instead of catch-all features, IFTTT offers a much more specialized approach to marketing. The app divides its applications into features specific to platforms like Google, iOS, photography and more. Simply selecting a few of these applets automates their processes, freeing up precious time for businesses. These features include automatically saving attachments to Google Drive, backing up texts and sending notifications for person-specific emails. With IFTTT’s applets, marketing teams can increase their productivity and give themselves more time to create advertisements. For many businesses, revenue flows through more routes than just product sales and business deals. Several companies rely heavily on ad revenue, and Qwaya makes the process of managing advertisements much more intuitive. The app allows businesses to schedule and queue certain ads, while at the same time restricting certain content. It also supports user collaboration, so ad performance can easily be discussed and adapted. For businesses advertising on Facebook and Instagram, Qwaya is an immensely powerful resource. Content scheduling is one of the most popular tools in this list. While marketing teams may be relieved to schedule their posts weeks in advance, MeetEdgar adds an extra step. Instead of using one-time updates, the app automatically reshares certain posts over time, eliminating the need for long lists of posts. In addition, MeetEdgar boasts direct video uploads and an unlimited library of updates, and allows users to choose which posts are and aren’t reposted over time. Platform-specific tools have the power to revolutionize vanilla applications and make them into far more productive tools of trade. TweetDeck is one powerful enhancement to Twitter. The app allows businesses to schedule, monitor and queue up Tweets remotely. The app ensures that marketers can discuss certain content and analyze audience tastes to release Tweets best suited to their followers’ interests. TweetDeck can make Twitter an even more lucrative platform for businesses. Rival IQ is first and foremost a data analytics tool. Its data-analyzing software collects relevant bits of information on a business’s social media activity and automatically generates in-depth displays. For example, the app shows audience growth, interactions, changes between time periods, similar statistics for close competitors and the topics most popular with the existing audience. Rival IQ’s tracking features go far beyond these, but even a fraction of its functions would prove useful to businesses trying to gauge their overall social media performance. The big social platforms – Facebook, Twitter, Instagram and Snapchat – all share an affinity for video. In social media marketing, photo and video are the primary modes of communication, and businesses that can’t create stimulating visual content are at a serious disadvantage. Animoto makes this a non-issue. With loads of photo- and video-editing tools, Animoto allows even inexperienced marketers to create eye-catching and stimulating content for their audience. Socedo revolves around the concept of “social intent data.” The term denotes actions that signify what people are interested in. Socedo gathers all this data to better understand lucrative trends and prescribe helpful marketing suggestions to businesses. Boasting features like audience discovery and engagement, the app gives businesses a way to connect to people who might be interested in their brand. Socedo guarantees audience growth and increased brand visibility for businesses using the application. Narrow connects businesses to users who may be interested in their content, based on their previous actions on the social platform. Offering detailed data analytics and an audience research tool, the app allows businesses to tailor their marketing strategy to attract a larger following. With Narrow, marketing teams can easily increase their audience on Twitter. Grum is an application specifically created for Instagram. The application contains specialized features for making Instagram more effective as a marketing tool. With tools like content scheduling, remote management and multiple account support, the app packs a ton of features onto basic vanilla Instagram. With Grum, businesses and marketing teams can increase their Instagram performance and free up more time to create fresh content. The hardest part of managing social media accounts is consistently coming up with interesting content to share. Post Planner provides a solution. The app essentially analyzes audience interests with a variety of algorithms to recommend topics to post about. In addition, the app includes an intuitive post-scheduling tool to guarantee that the most effective content is posted at the right times. Post Planner allows marketing teams to post as efficiently as possible. Sometimes the simpler an application, the more impactful it is. WordSwag is a prime example. The app boasts just one feature – adding customized text to photos. It allows customization of color and font, and has resulted in thousands of fascinating images. Businesses that require a minimalist but powerful graphic-design app need look no further than WordSwag. Guest Authored By Steve Olinkski. Steve is a Marketer who also happens to be among the most influential writers in the space. He's been called The CMO Whisperer & Distiller of Truth. He's looking for his next challenge. Follow Steve on Twitter. "Fortunately, marketing teams don’t have to go it alone in their efforts to raise their brand to the top.